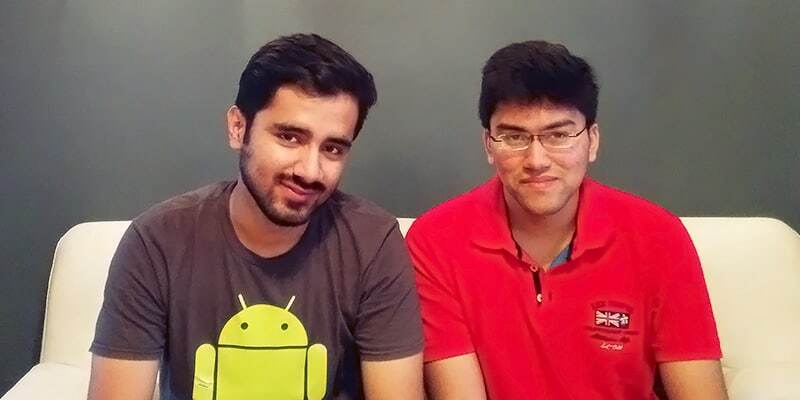 How an engineering graduate started Fratmart, a marketplace like OLX for college students? Founded in March 2015, Fratmart is a revolutionary peer-to-peer marketplace where you can connect with various peers for purchasing or selling of college related stuffs like books, study material, notes, electronic items like headphones and speakers and other things. Apart from the above features, this Noida based Fratmart also offers options to connect the peers to share their flats and rides to the campus. 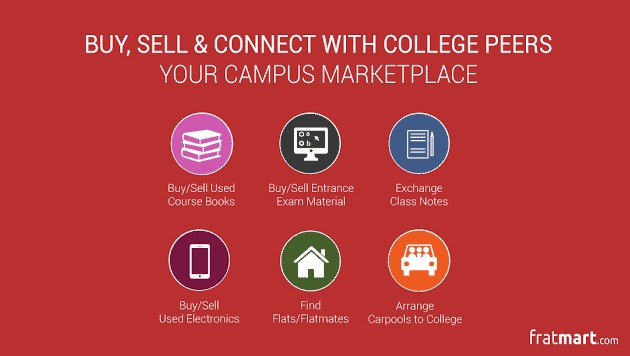 Fratmart is acting like a one stop marketplace for the college going students. Why we chose Fratmart as Startup of the Week? The startup was launched inMarch 2015 and within few months showed steady growth. • The idea is unique and is serving in almost every corner of the country. • The website is divided into 9 various categories for easy access and navigation. • In the last one month, registrations over the platform have doubled. • The platform caters to more than 320 colleges. • Interestingly, these colleges have been registered by students themselves. • Over 1000 ads have been posted by the students on the website. • The platform deals in course material, novels, and study material for various entrance exams. • Students have also sold electronic items like dessert coolers, USB modems, calculators, LED lights, and lamps through the platform. The company is founded by Harsh Gupta, a mechanical engineer and Sarthak Mehrish, a computer engineer. Harsh graduated from JSS Academy of Technical Education while Sarthak graduated from Jaypee University of Information Technology, Solan. At the time when Harsh completed his graduation in 2014, Sarthak is currently a final year student as well as professional who loves developing android applications. He loves working over Python and Django. Going back to the last year and talking about Harsh, the time when he was still a college student, he knew the common problems a college student face. Just like other engineering students, he also looked for second hand books at the time of exams and purchased it from the local trader for a much higher price. He thought that buying books for using it only at exam times was something like losing the money for no reason. This thought struck the mind of Harsh and he realized that there is a need of a platform that could solve the problem of the whole student community across the country. The result was“Fratmart”.In less than a year, Fratmart has got more than 320 colleges on board and received thousands of ads on its portal. And the interesting thing is that these colleges have been registered by the students itself. “Our every foundation is unique. The concept of an in-campus marketplace is novel to the Indian higher education sphere. We’re trying to build a self-sustained sharing economy inside college campuses in India. Students will be able to fulfill most of their day-to-day and academic requirements by connecting with their peers within their own campus. And as we like to state it, we’re not building a venture, we’re building a culture;” says Harsh. In two years, the duo founders see Fratmart as a blooming one-stop marketplace in almost 80-90% of colleges in India. The founders have vision to go global in the near future.As their concept has a good demand in the higher education markets in North America, Western Europe and Australia/New-Zealand, so they want to leverage the substantial niche user base that they possess to help Indian brandsreach out to the student population in a creative and cost-effective way. It’ll be innovative in every sense and will help such organizations open up another sales/marketing channel if their product/service has college students as a majority target market.